This past Thursday, the Langley Events Centre played host to the 2019 Western Lacrosse Association Draft. Each one of the seven WLA teams were looking to stock their club with the best junior players in the province in an attempt in making a run at Senior A’s top prize – the Mann Cup. With Commissioner Paul Del Monte presiding over the evening it came as no surprise when he announced that the Coquitlam Adanacs had selected goalie Christian Del Bianco first overall. The Adanacs, coming off a 2-16 season, get a significant building block to construct their team around. 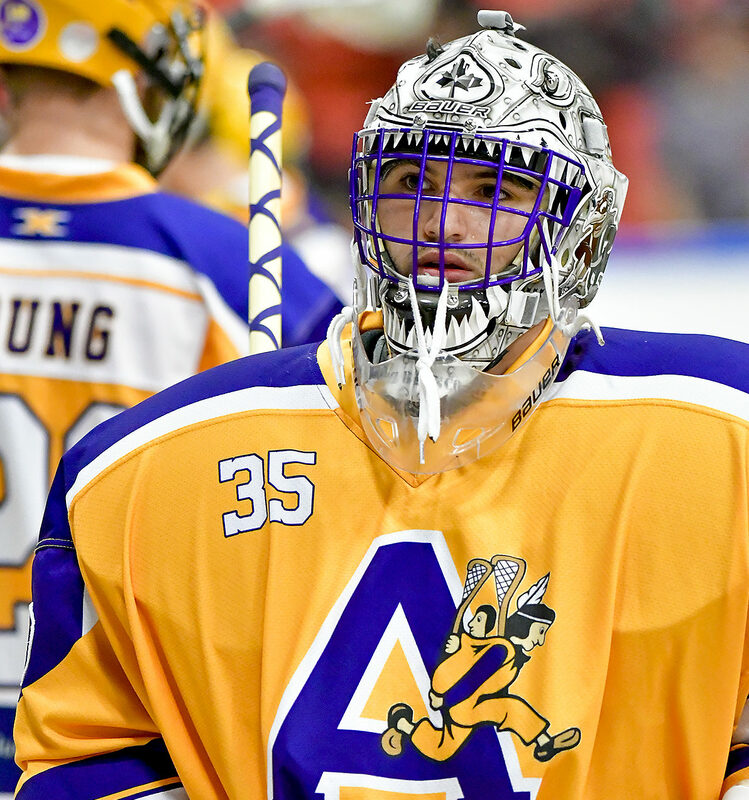 “The Phenom” had a standout junior career with the Adanacs putting up stratospheric numbers: A 62-2 career regular season record with a 5.94 GAA and a 0.853 save percentage. Add to that a couple of Minto Cups, a couple of MVP’s and let’s not forget he’s already played three years in the NLL. 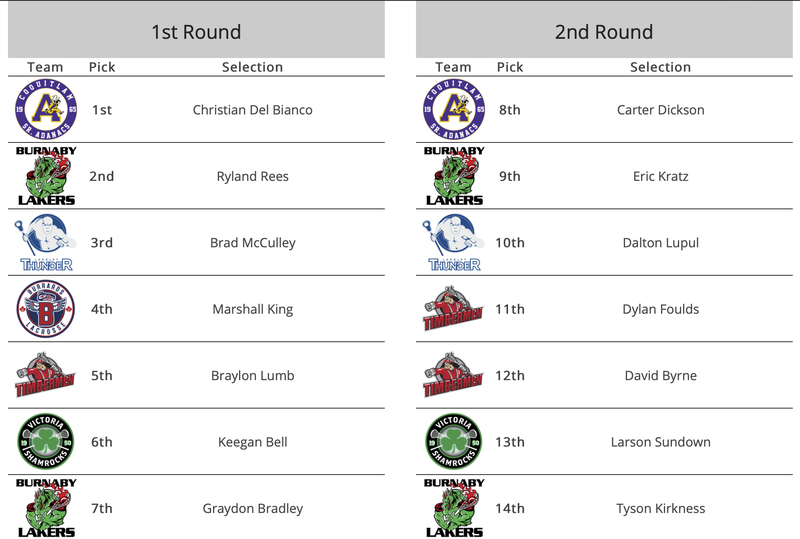 The Burnaby Lakers held the second pick and selected defenseman Ryland Rees. Rees, who played for the Port Coquitlam Saints before joining the Jr. Adanacs, has already built an impressive resume. Not only did he win a Minto Cup with the Adanacs, but Rees was a member of the Team Canada Men’s Field Lacrosse Team that won silver in Netanya, Israel. The 6’2” righty also played LSM at Stonybrook where he was their captain and on the Tewaaraton watch list. 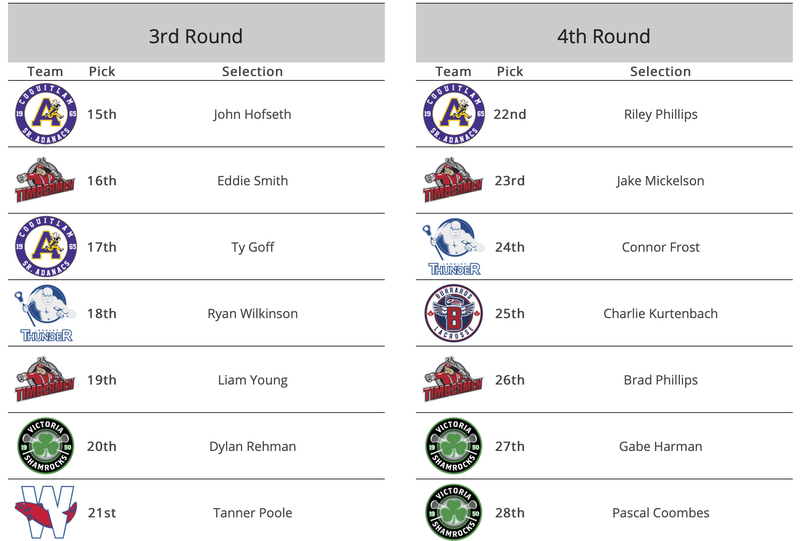 Coming in at number three, the Langley Thunder selected Brad McCulley from the Junior A Victoria Shamrocks. The 2016 BCJALL Rookie of the Year and Shamrocks captain played in 54 career games tallying 202 points. The lefty forward also plays college lacrosse for the Robert Morris Colonials. The WLA season gets underway on May 23rd as the Langley Thunder take on the New Westminster Salmonbellies.